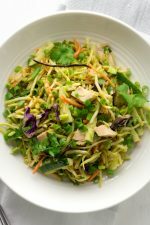 A vibrant green salad full of crunchy veggies is a great lunch or dinner choice on the keto diet. All you need to do is add some protein — like grilled chicken or steak — and a delicious keto salad dressing. 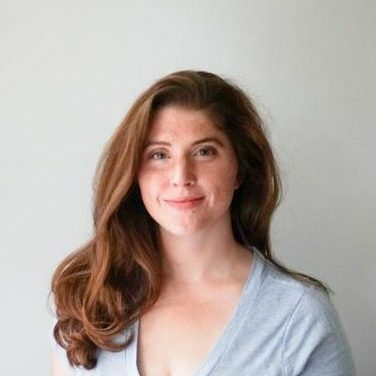 If you’ve read the nutrition facts on the back of a bottle of store-bought salad dressing, you know that they can contain a lot of unnecessary sugars and other ingredients that aren’t part of a healthy keto diet. If you are looking for keto-friendly store-bought salad dressings, check out this post: 9 Best Keto Salad Dressings to Buy. 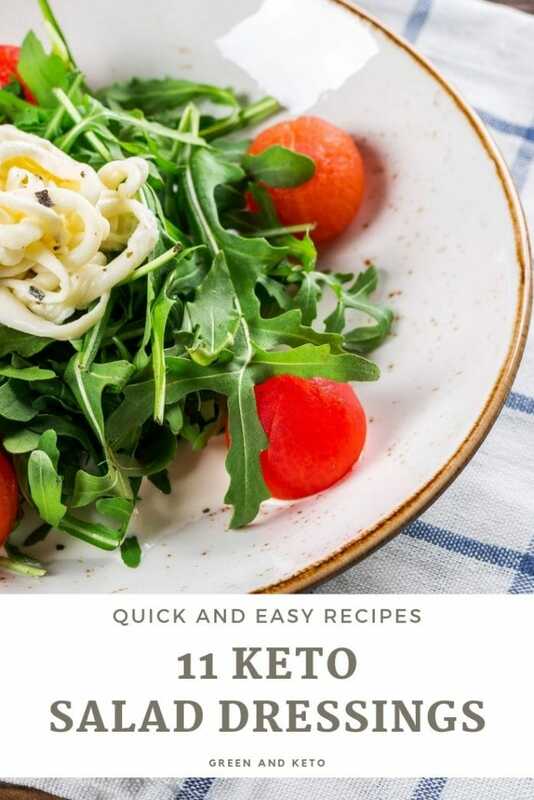 Or, if you’d like to make your own keto salad dressings at home, I’ve gathered 11 of my favorite keto salad dressing recipes to share with you. Making your own keto salad dressing is easier than you think, and is really the best option to control the ingredients that go into your dressing. Ranch dressing is extremely easy to make and so much better than the store-bought version. It’s ready in just a few minutes and you can keep it in the fridge for up to a week. This recipe is made with mayonnaise instead of buttermilk to keep the carbs as low as possible. 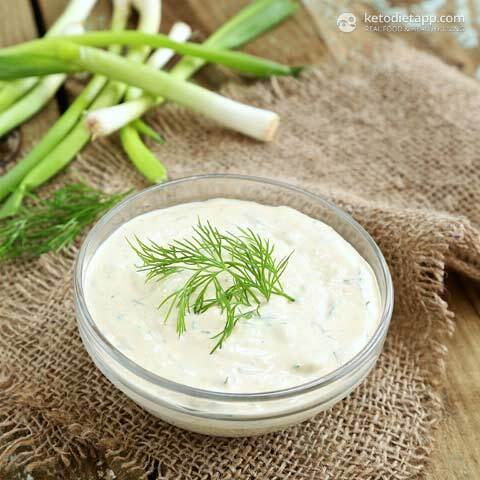 Find this recipe for Keto Ranch Dressing at Keto Diet App. Here’s a recipe for five-minute keto caesar dressing recipe flavored with garlic and anchovy paste. Find this recipe for Keto Caesar Dressing at Ruled Me. This low-carb greek dressing is a great all-purpose salad dressing with lots of lemon, garlic, and herbs. It’s a delicious keto salad dressing that also makes a nice dip for veggies and a tasty marinade for grilled chicken. This recipe is low-carb as written. But, if you want to reduce the carbs even further, swap the honey mustard in this recipe for Dijon mustard. 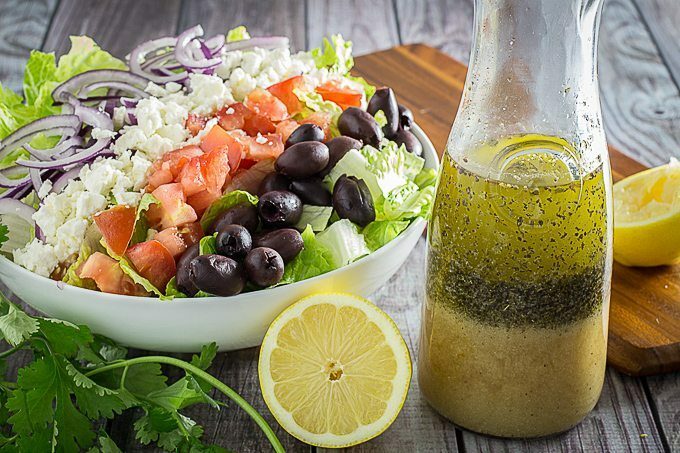 Find this recipe for Keto Greek Dressing at Dishing Delish. This poppy seed dressing is perfect for a spring or summer salad made with grilled chicken, toasted pecans, and berries. It’s a classic recipe made low-carb through the use of a sugar-substitute called erythritol. This recipe is creamy, sweet and tangy. Plus, it takes just a couple of minutes to prepare. Find this recipe for Keto Poppy Seed Dressing at Keto Diet App. This Blue Cheese Dressing is super creamy and delicious. It’s made with lots of real blue cheese, sour cream, mayo, lemon juice, and spices. It’s super easy to make, too. Try it on salads and chicken wings! This healthy apple cider vinegar salad dressing is a fantastic all-purpose salad dressing. You probably have all of the required ingredients already in your pantry. Bonus: apple cider vinegar is linked to a lot of health benefits! Find this recipe for Keto Apple Cider Vinegar Dressing at Hungry for Inspiration. If you are avoiding dairy, you’ll definitely want to check out this dairy-free Avocado Cilantro Lime dressing. It’s super creamy thanks to the avocado — you won’t miss the dairy at all. 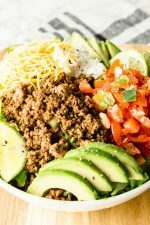 Find this recipe for Keto Avocado Cilantro Dressing at Low Carb Yum. This Keto Honey Mustard Dressing recipe tastes just like the real thing, but without all the carbs. It’s perfect for salads, or as a dip for keto chicken fingers. This recipe uses low-carb sweetener erythritol to emulate the sweetness of honey. Find this recipe for Keto Honey Mustard Dressing at Peace Love and Low Carb. 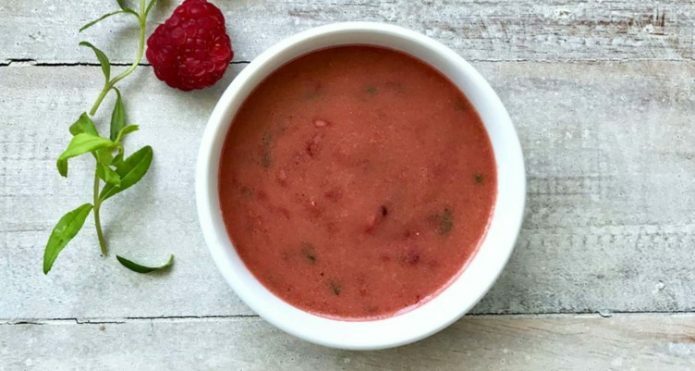 This fruity keto salad dressing gets its sweetness from fresh organic raspberries and a pinch of all-natural low-carb sweetener. 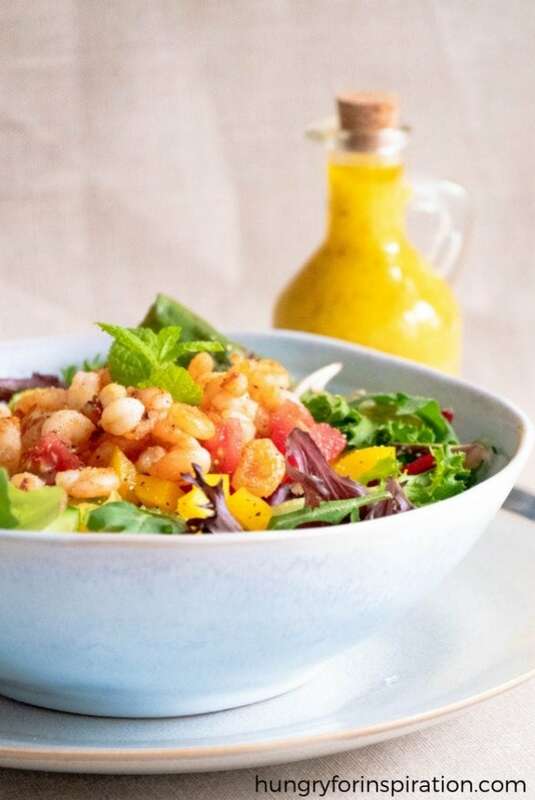 If you are in the mood for raspberry vinaigrette, give this recipe a try. It has just 1 gram of carbs per serving. Find this recipe for Keto Raspberry Vinaigrette at Bulletproof Blog. You are just 5 ingredients and a few minutes away from enjoying a delicious creamy garlic salad dressing. It’s a perfect salad dressing for mixed greens or a tomato salad. And, is dairy-free! Find this recipe for Keto Creamy Garlic Dressing at Joy Filled Eats. What’s a keto salad with bacon? This low-carb bacon vinaigrette is loaded with flavor. It’s made with real bacon crumbles, chives, whole grain mustard, and red-wine vinegar. Find this recipe for Keto Bacon Vinaigrette at Simply So Healthy. If you liked this post, pin it for later! And if have a favorite keto salad dressing, leave a link in the comments! 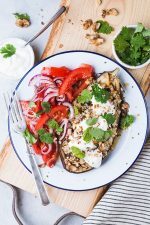 These salad recipes look so good! I can’t wait to try these! Thanks for sharing! These recipes are perfect! I’m going to make a salad tomorrow. It’s so hard to choose what salad dressing though. Thank you so much for sharing!